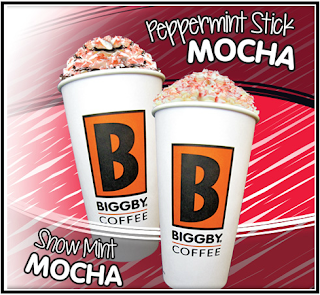 Biggby Coffee - BOGO Through November 19th! Use this printable coupon from Biggby Coffee to get a FREE Grande/Super Speciaty Beverage of your choice when you purchase another at regular price. Coupon expires November 19th. 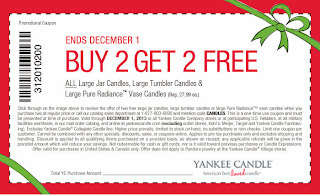 Yankee Candle - Buy 2, Get 2 FREE! Yankee Candle is offering 2 FREE Candles with the purchase of 2 Candles when you use promo code CANDLES at checkout. Or you can use this printable coupon at Yankee Candle stores. Coupon offer valid through December 1st, 2013. 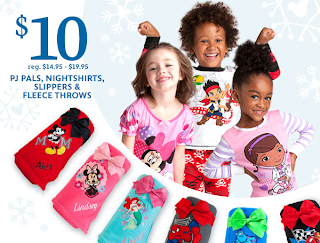 Ending soon : Buy 1 Plush, Get 1 for $1! 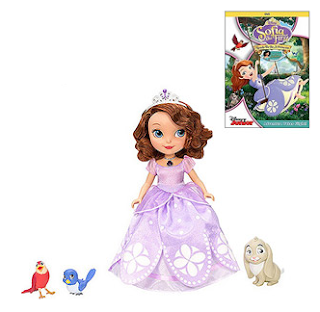 Shipping is FREE on purchases totaling $75 or more with promo code SHIPMAGIC. 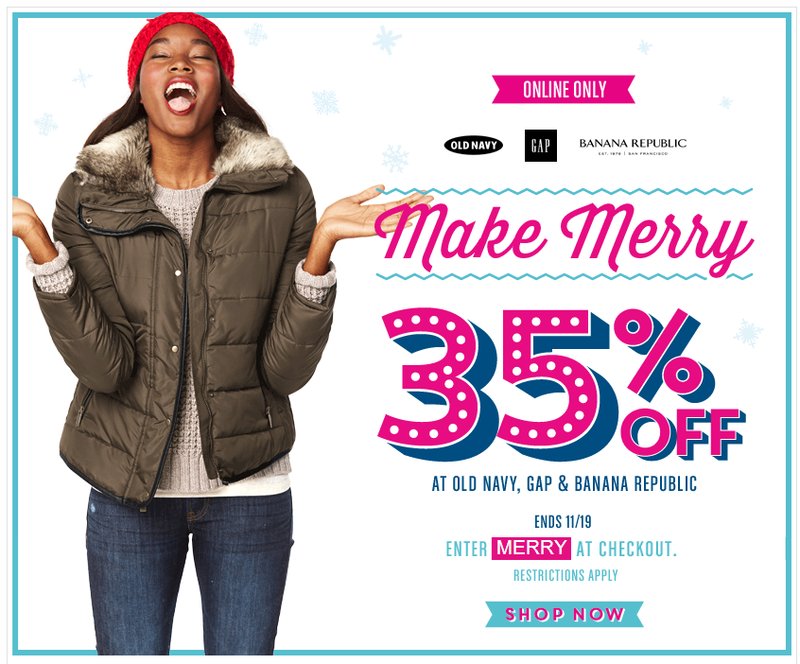 For three days only, save 35% off your purchase from Old Navy, Gap and Banana Republic online when you use promo code MERRY. Promo code MERRY will also save you 30% at Piperlime.com. 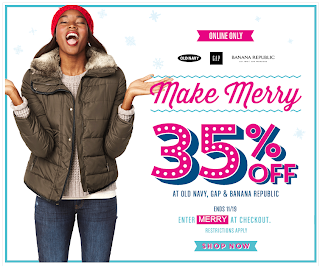 Offer valid on Banana Republic, Gap, Old Navy, and Piperlime merchandise purchased online from 11/17/2013 at 12:00 AM ET through 11/19/2013 at 11:59 PM ET in the U.S. (including Puerto Rico) only. 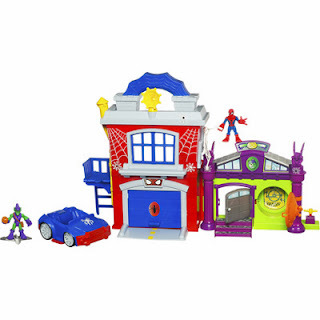 Meijer 1-Day Deal : Playskool Hero Spider-Man Playset for 50% Off! The Meijer.com 1-Day Deal is the Playskool Hero Spider-Man Crime-Fightin Headquarters Playset for $19.99. 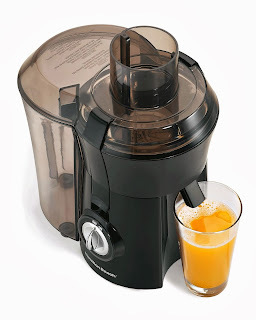 (retail $40) Shipping is FREE on the 1-Day Deal. The Green Goblin lives in one tough hideout. But the nimble Spider-Man just moved into the ultimate crime-fighting apartment next door. The rebellious Green Goblin loves to hurl pumpkins into the city streets, making messy mayhem. Spider-Man must use all his spidey skills and the special features of his awesome apartment to save the day. You can create more action and mayhem than will fit in this awesome Crime-Fightin’ Headquarters Playset. Your Spider-Man and Green Goblin figures have an apartment and hideout next door to each other. They will battle back and forth as Green Goblin tries to create the havoc he loves. Swing your Spider-Man figure on his web and let him make a quick getaway through the rotating escape window that looks like a "web" satellite dish. With a trap door bed, a secret hideout door, a garage door that opens and a fire escape villain launcher, there’s no end to the adventures you can imagine. For ages 3 years and up. Amazon is currently selling this same playset for more than $40. 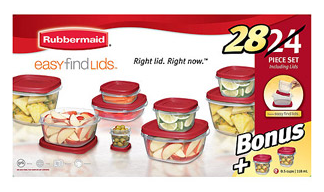 Rubbermaid Easy Find Lid 28-Piece Food Storage Set for $9.00! Use Site-to-Store shipping to pickup at your local store. Create your own custom color markers in minutes! Use the mixing guide to create your colors — or make up your own. Watch as the marker core magically draws in the ink, and then click it together to finish your own custom marker! 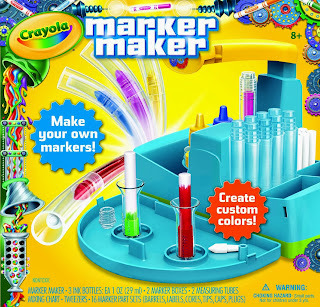 Includes the Marker Maker unit, components for making 16 markers, three bottles of ink, mixing guide, marker labels and two marker storage boxes. Total value of this bundle set is $59.00. You save $20! Ship to your local Walmart store location to save on shipping fees.